I am a Mother to 2 children. “The Dude” is 7, and all heart. “The Girl” is 5, and probably my 89 year-old grandmother come back to continue teaching me lessons every day. I am a Niece and a Daughter. I have been “voluntold” that my job has progressed to care and connection for my family. It is a lot of work I am happy to undertake, but I needed guidance. I need self-care. I need connection to myself and others in order to keep these relationships healthy. Much like my family, I realize I can not do these things alone. I want to do this, at my very best, every day. I am a granddaughter. Last July, I helped move my grandfather from his Massachusetts, assisted Living facility of 20 years. 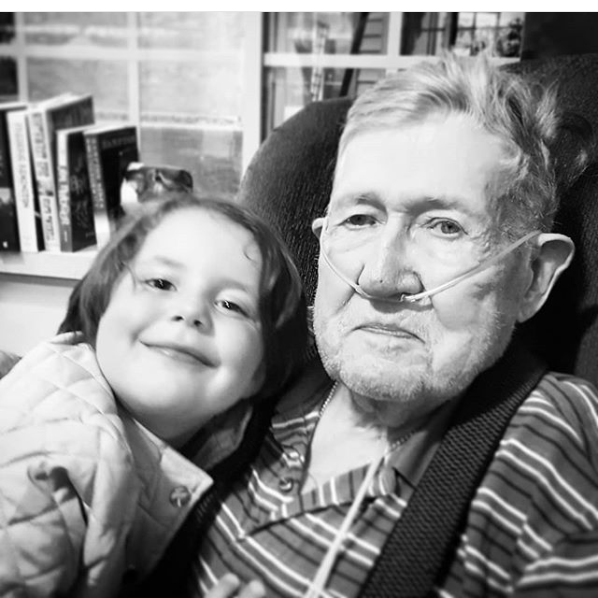 He required end-of-life care that legally and medically, was not possible in MA. 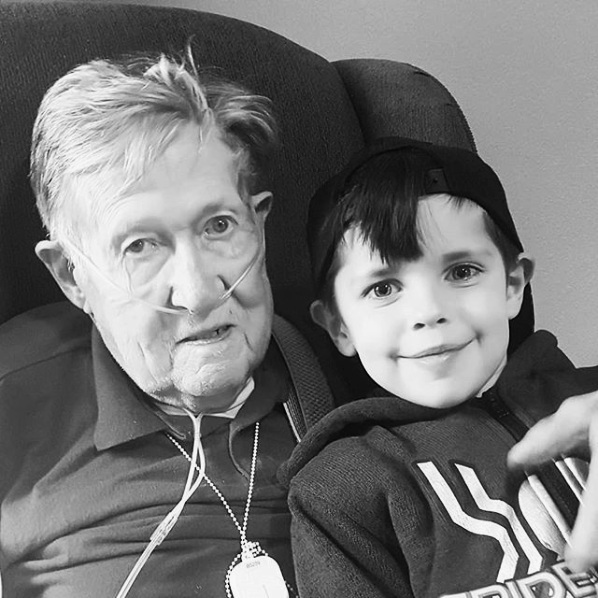 Donald, at 90 years old, a 6 year widower, Veteran, hooked up to an Oxygen tank, sharp as a tack, made a long trip. 4 rental cars, blown fuses, multiple hotels and wheelchairs later, we arrived in Wisconsin. I didn’t know how long we would have together. He has 3 responsible, intelligent children who arranged his options, doctors, paperwork, care, and financials. I get to focus on making the most of every day with him. I get to be his voice, his connection. His constant. I am an End-of-Life Companion. Like you, I have always been building. I have had it in me all along. 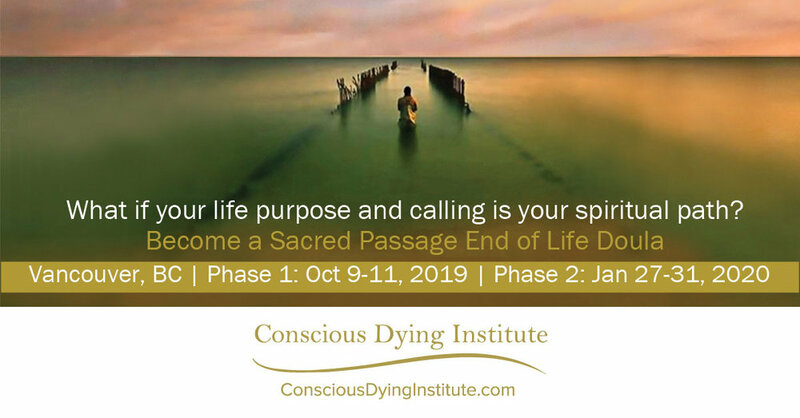 The Conscious Dying Institute was the guidance I needed to step into my role in a helpful, fulfilling and healing way. I gave myself permission and found my grace. We had 6 glorious weeks. Our relationship grew and flourished. In the event one can have a good death, my Grandpa Donald had one. All of this is deeply important to me. But, what I want to share today is about the legacy we are always building. My legacy includes connecting with my children, honestly and openly about death. Death, loss, and grief can be healing. A good death is possible because a good life is possible. When they got home from school, we sat them down, went through our after school routine, and then made space for a family talk. This article was a contribution from our Minnesota End of Life Doula Graduate, Besty Munro Jeffrey. 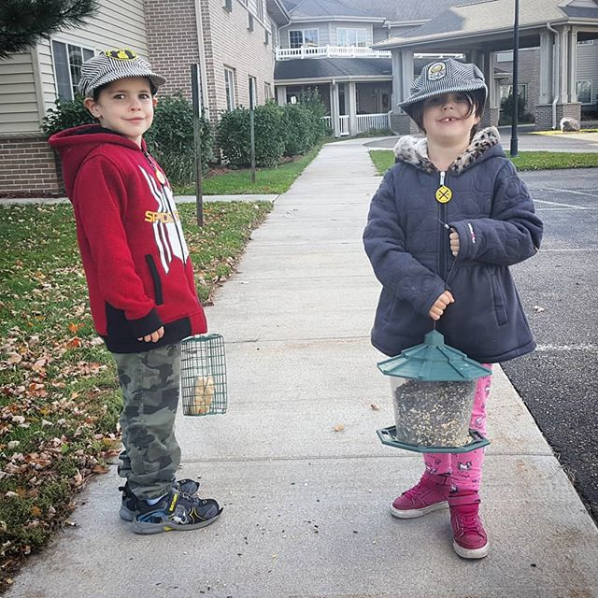 Thank you to Betsy for sharing this beautiful story with our community!